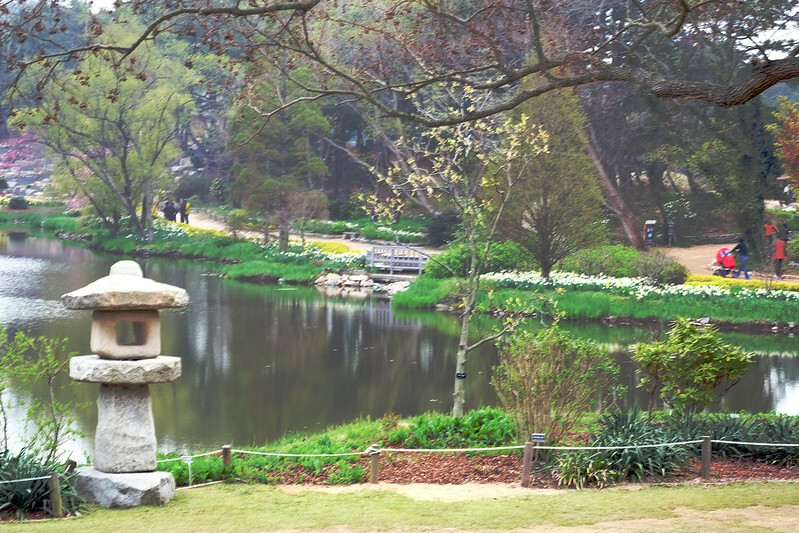 This week we are off day tripping to Korea’s Taean Peninsula. 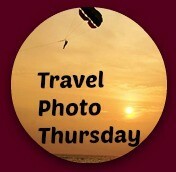 Welcome to week 275 (28/4/2016) of Travel Photo Thursday. Leaving the city about 20 minutes later than our planned departure of 8:30 am, the Saturday traffic was stop-and- go for the next 4 hours. The smoggy conditions affected the driving, as well. Arriving 2 hours later than expected, I was thrilled to peel myself off the bus finally and excited to experience Taean’s Sinduri Dunes. Before signing up for this day trip, I had no idea that Korea had dunes, and I was stoked to seem them. 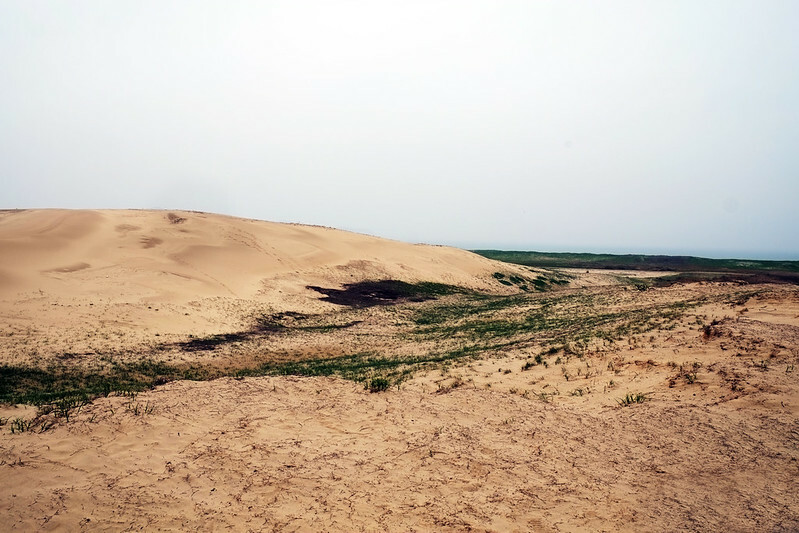 At 15,000 years old, the Sanduri Sand Dunes have been around for a while, and they are Korea’s most extensive system of natural dunes. 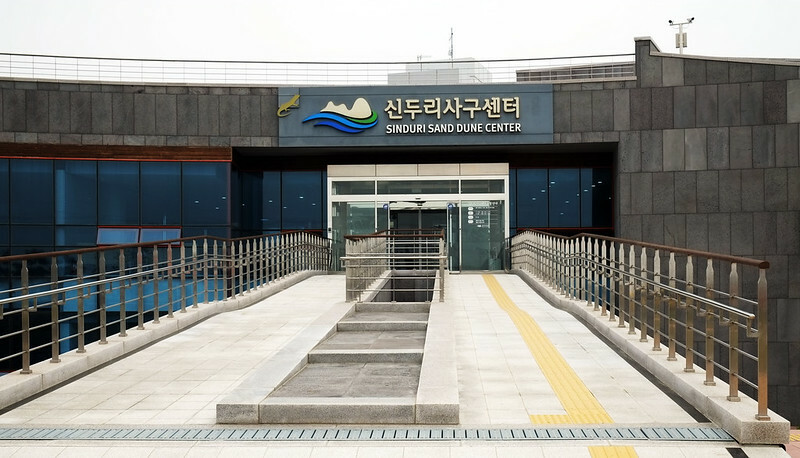 Just steps from the sand is a modern information center, with lots of great information in Korean, and also some lovely photos on exhibit. The washrooms were much appreciated! There are lots of trails to choose from, and the dunes are well protected. I would love to see this on a day when there is blue sky! I loved this lone tree! A splash of color was most welcomed. Of course, no trip to sand dunes would be complete without a walk on the beach. The mist added to the atmosphere. These noodles with shellfish were fantastic. The broth was bursting with flavor, and probably one of the tastiest I have ever tasted. I took a quick shot of the restaurant on the way out. 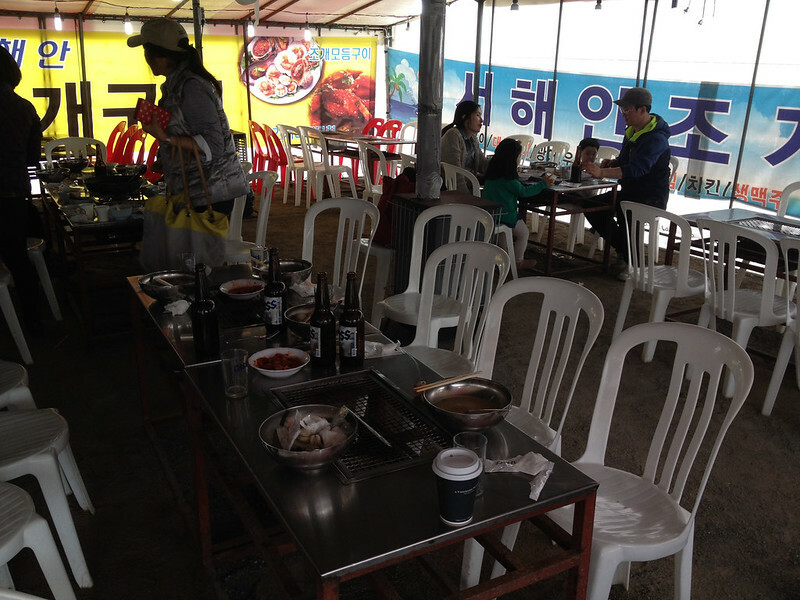 These seafood tent restaurants are very popular in beach areas and serve up some fantastic seafood at reasonable prices. 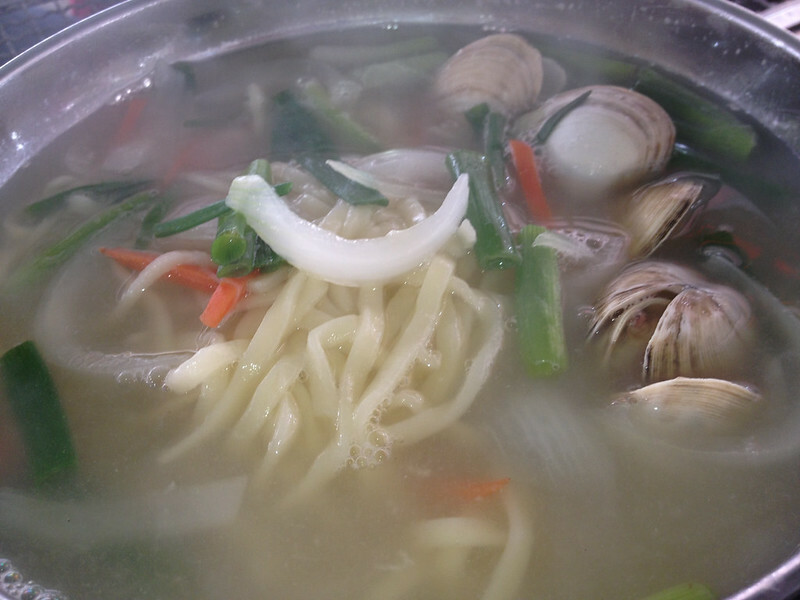 With tummies full of delicious seafood noodles, it was off to the Chollipo Arboretum. Mr. Ferris Miller (1921 – 2002) began the Chollipo Arboretum project in 1971. Over the years he amassed a vast collection of approximately 6000 different varieties of flowers, shrubs, and trees, including over 380 kinds of magnolias. 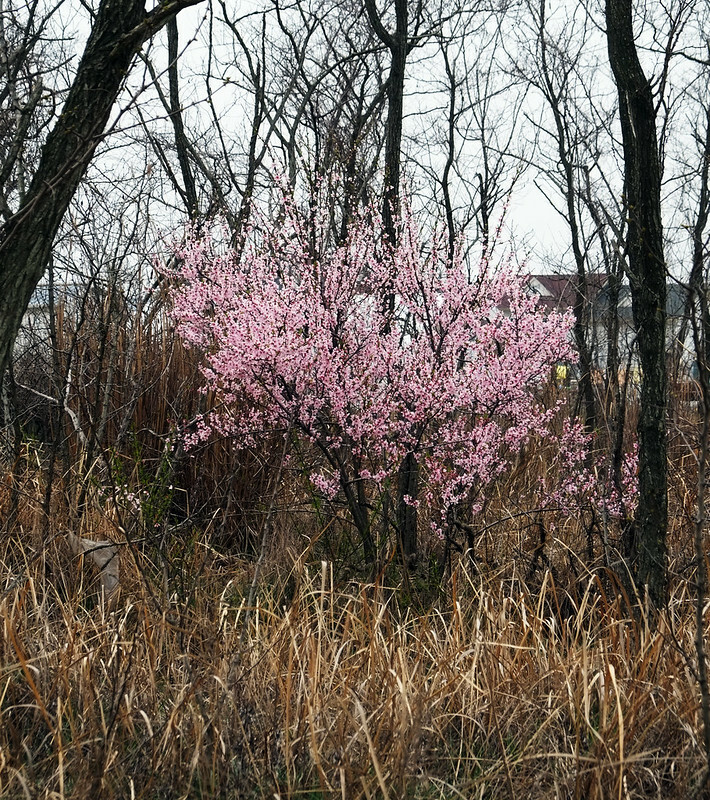 The magnolia collection is the only one of its kind in Korea and known to be one of the most extensive in the world. 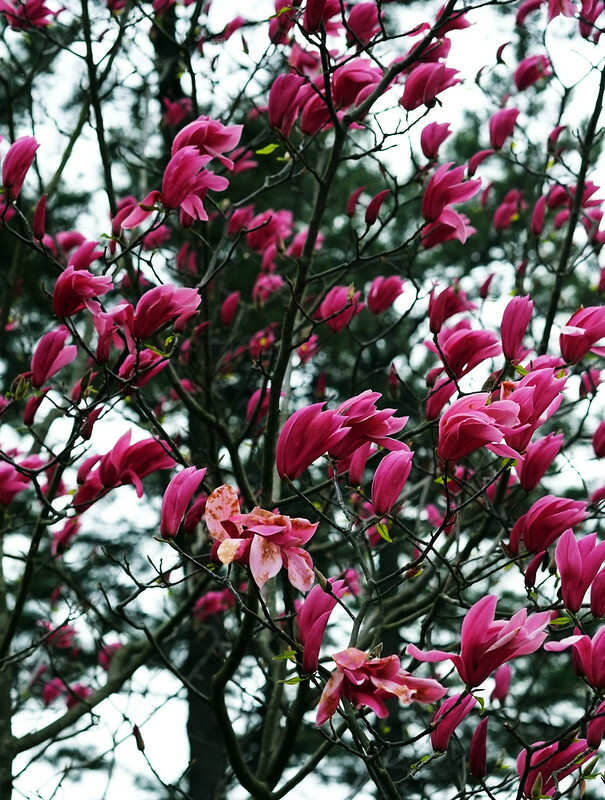 Many of the magnolias were in bloom during our visit, and some were just in the opening stage. I was a bit surprised since the Magnolia finished in Seoul weeks ago. The reflection pond is gorgeous, and probably the favorite spot in the arboretum. 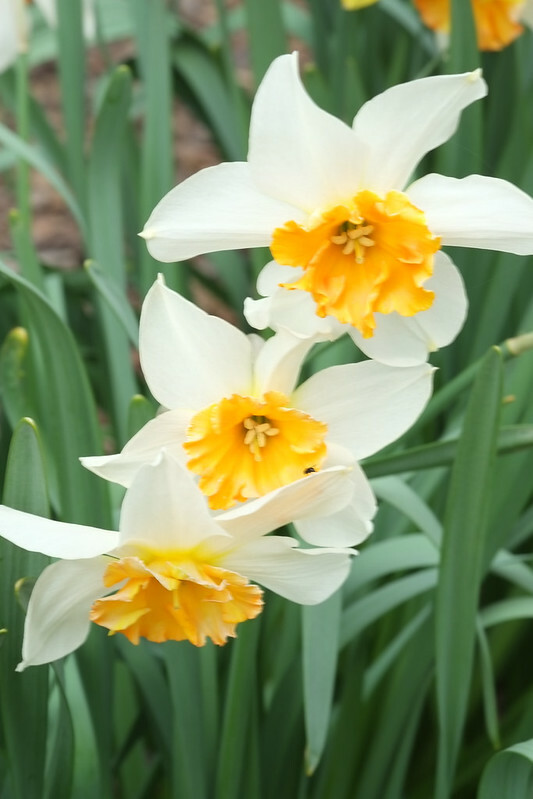 Daffodils just scream spring, don’t they? 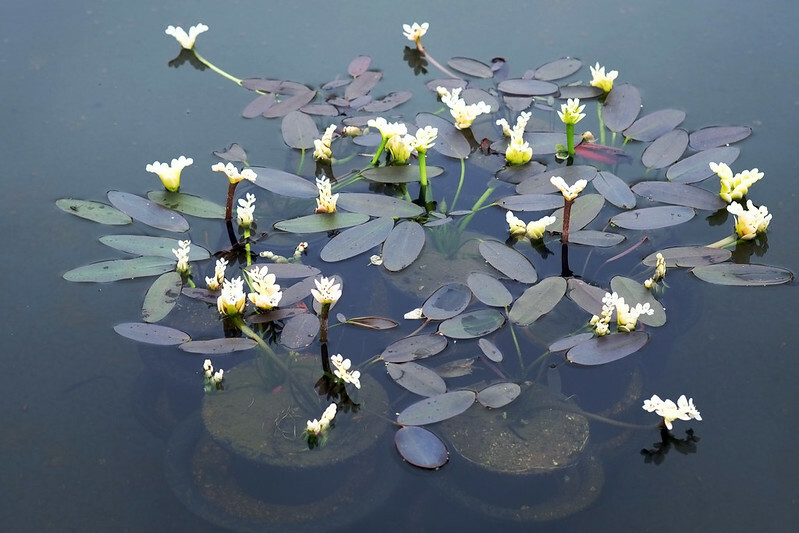 These miniature water lilies are in a man-made pond at the front of the Arboretum. Aren’t they gorgeous? Our final stop of the day was scheduled to be the sunset at Kkotji Beach, Anmyeondo Island. Unfortunately, sunshine did not bless us on this tour, so the chances of there actually being a sunset were next to nil. We opted to head back to Seoul, and avoid the evening traffic jam. The sunset is on my list for another day! 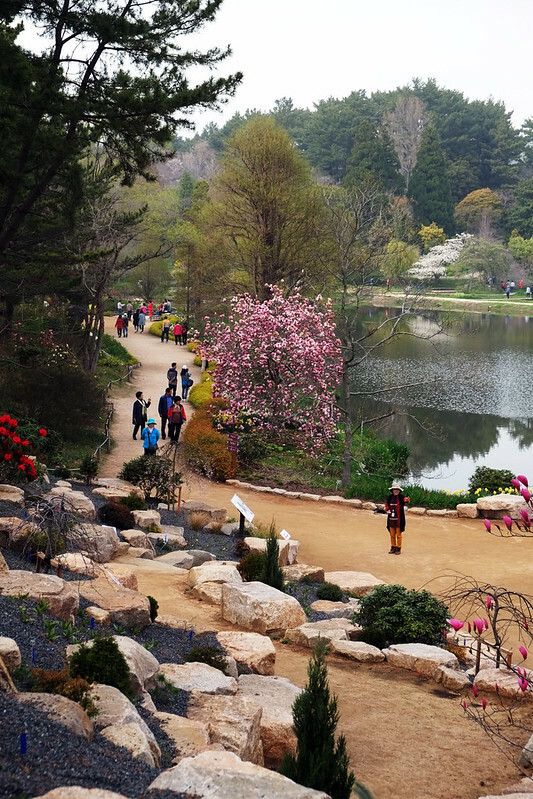 Should you ever decide to visit the Taean Peninsula and the Chollipo Arboretum, Chollipo is open 365 days of the year, and it is possible to get there by bus from Seoul. Find out hours and bus info. here . I took a tour organized by the Royal Asiatic Society. I think the best time to visit would be between April and June, and September/October. Summer is sweltering, and winter frigid! Who knew there were such sand dunes in Korea? Wow! And of course, the Arboretum is beautiful.Sorry about the sun but I guess that just means a return trip. Hi Jill. 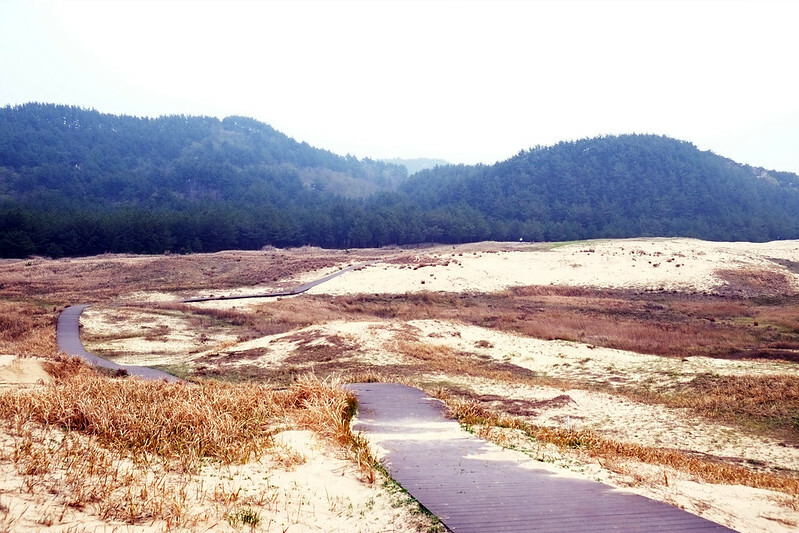 I had no idea that there were sand dunes in Korea until I read about this tour. I loved the arboretum, but must admit that the dunes were the real drawing card for me. I definitely want to go back for that sunset! beautiful flowers! and mr potman looks so funny! Washrooms are always appreciated by me!! The food looks delicious. And all the photos are gorgeous. I like reading your post about Korea. Sometimes you have an idea of how a place “looks” but the reality is that every country in the world is composed of a variety of landscapes (rural and urban). The photos of the dune remind me of some places here in California. 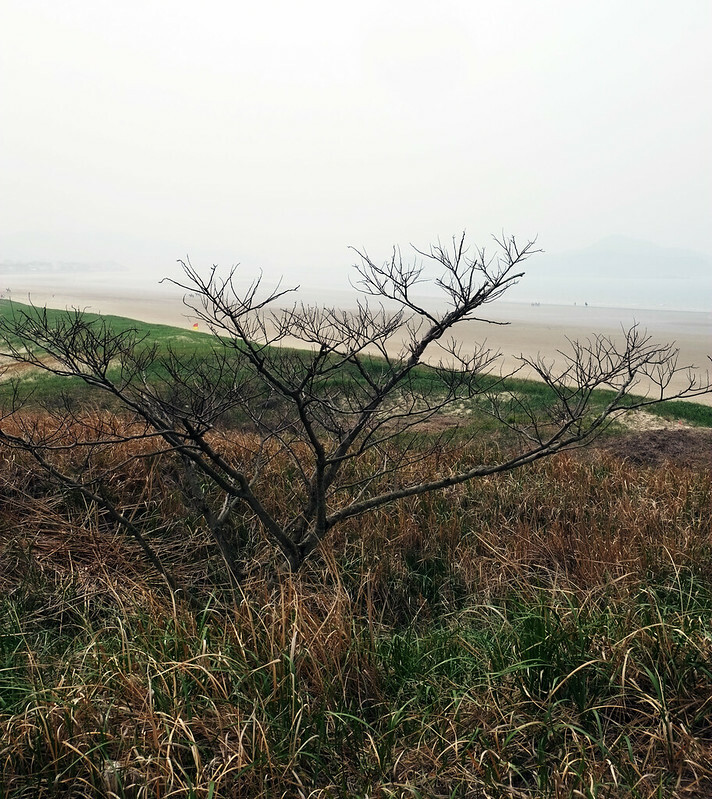 I love Mr. Pot Man – I may need to make him  The sand dunes and surrounding scenery are beautiful – never would have thought to see sand dunes in South Korea. Looks like you were there on a perfect day at the Arboretum. Love all those floral photos. Not quite like the sand dunes I have experienced in Australia, but nonetheless still have a certain beauty about them! The gardens were very pretty however. Nancie, These photos are just stunning. 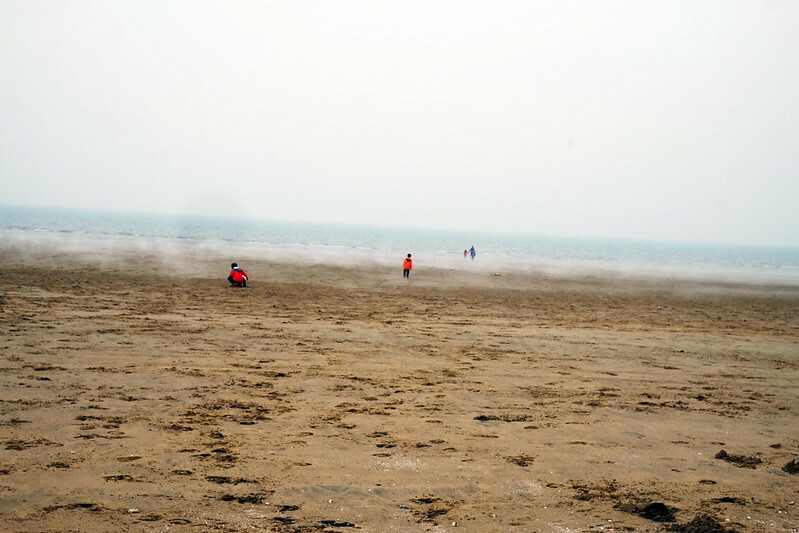 I love the mist on the beach followed by exactly what I would do…warm up with a bowl of soup. Love it. What a fun adventure! The magnolias look beautiful and I’d love the run around the beach and sand dunes. Love the water lilies and all the bright flowers. I don’t know what I expected from the country exactly, but I’m amazed by how varied Korea’s landscape really is. 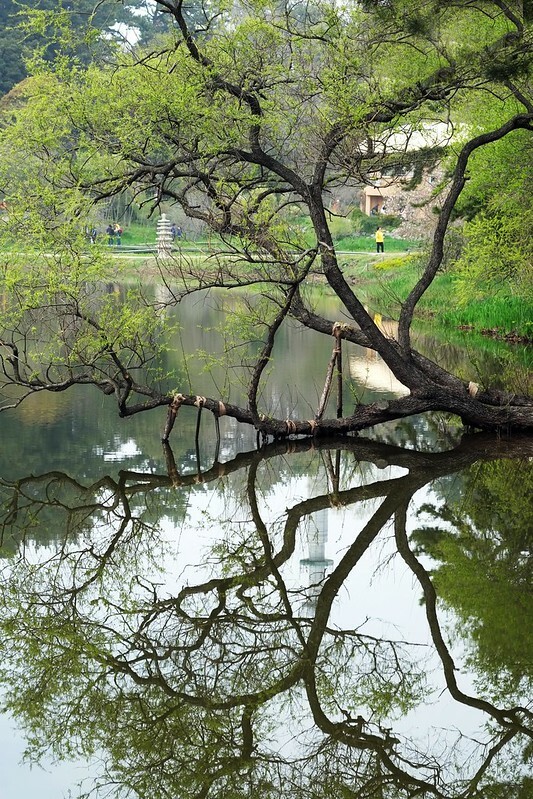 Your photos are just beautiful, especially those from the arboretum. I’d especially like to see the magnolia collection; never imagined that there were that many varieties and now I’m curious. After I appreciated the spare beauty of the dunes I really loved the way your colors jumped out of your photos in a celebration of Spring. 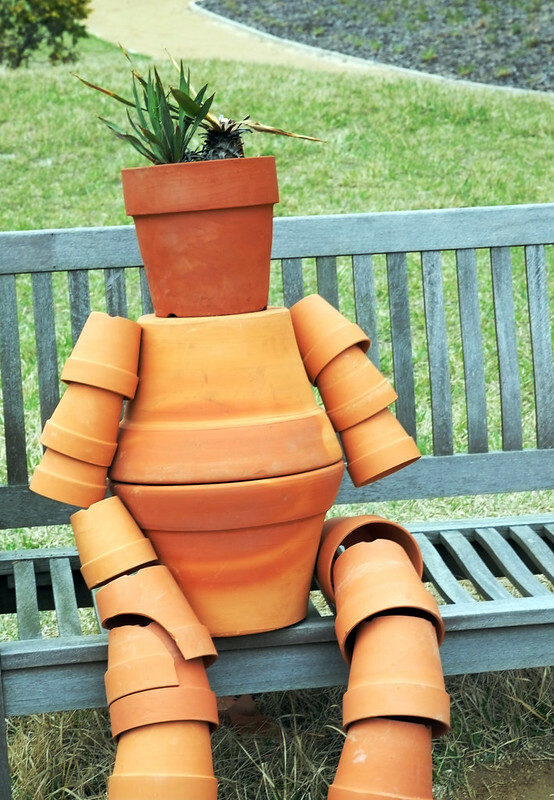 The “Potman” made me smile, too! Hey Nancie, I’ve never seen a sand dune up close and I’m surprised to see all these gorgeous flowers and water lilies – not what I expected.